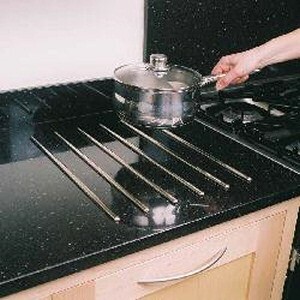 Worktop protector rods are a stylish new worktop accessory that look that look great on any type of matt and gloss laminate worktop. 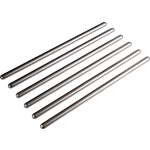 Protector rods enable you to remove a hot pan from the hob without ruining your worksurface. 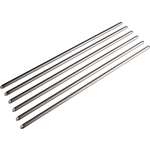 Stainless steel protector rods are available in 2 sizes, 45cm long and 30cm long. Installation instructions are supplied with each set of protector rods and are backed with heat resistant self adhesive tape making them easy to apply.